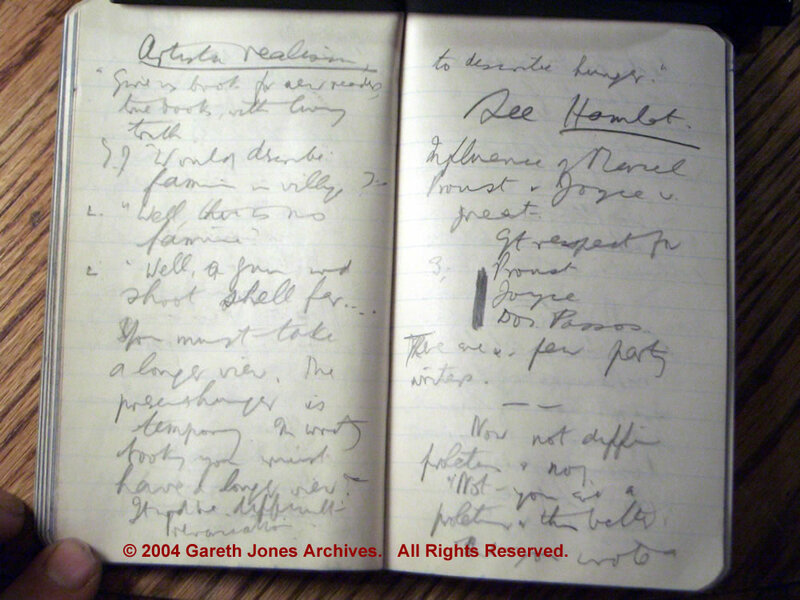 Below is a copy of Gareth Jones actual diary notes from part of his late March 1933 confidential interview in Moscow with Commissar Maxim Litvinov, after just returning from his unescorted trip to Ukraine, where Gareth observed the famine, firsthand, and merely days before internationally exposing it. It is historically significant as Gareth 'subtly' broaches the subject of famine in the villages, whilst in conversation about new freedom for Soviet playwrights to write without state censorship... And as such, from the mouth of Litvinov, is probably the highest level of a famine denial by any Soviet official, as he was arguably second only to Stalin in political power.. There are a few party writers. For one interpretation of the title's relevance, then please click HERE, where the Artistic Realisation Organisation describes it as the creative "liberation lies in the power of Art, not as therapy or recreation, but as a critical means of articulate self-expression". The exact relevance of this phrase depends on two specific factors; firstly, when exactly was Hamlet 'banned' by Stalin as the last Moscow production during Stalin's life was in 1932, and secondly whether it was an official ban? ...Of course the ban on “Hamlet” wasn’t officially declared. The play became, silently, “non-recommendable” for the stage. The theatres had learned to catch these sorts of hints from the authorities’." Another Hamlet website states: "Stalin's regime banned Hamlet, claiming that "Hamlet's indecisiveness and depression were incompatible with the new Soviet spirit of optimism, fortitude, and clarity" (Epstein 353). - though no precise date of the ban is cited - Ref: http://ccwf.cc.utexas.edu/~govind/shakespeare/#post1900. Nevertheless, the question remains, did the play run into 1933 and then this "See Hamlet" was a suggestion by Litvinov for GJ to make a visit to see this 'last' production? And if, as more likely from the above quotations it was no longer being played, when GJ was in Moscow in March 1933, then did GJ suspect or have reason to believe that it had already been banned and was thereby making a judgement on the folly of the new edict of playwrights complete "freedom from censorship"? Perhaps, one might consider if it was this particular line of Hamlet's soliloquy, which may really have stuck in the throat of Stalin, and thus had some bearing on the Soviet censor's later displeasure?